Even though something might say, “water proof” or “weather resistant” there is no guarantee it will stay that way. This is especially true for anything you keep outside. Things like patio decks and furniture, grills, fences and sheds will automatically take a beating from sun, rain, wind and cold temperatures. Sooner or later, those things are going to degrade. When that happens, it time to bring in the crews from Junk King. They can handle something like an old shed removal without giving it a second thought. 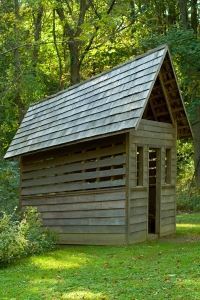 You might need shed removal when you first notice that structure beings to lean. This tells you the foundation is rotting. It wouldn’t take much effort to topple that shed. You certainly don’t want that happening during your next backyard BBQ or when the kids are playing out back. At the first signs of distress, you should have the Junk King crew respond. Even if the shed is still standing, the crew will be able to take it apart. They’ll have the tools and the muscle to get this job down. Once the shed has been broken up, it can be loaded onto the back of the Junk King truck for its final trip to a recycling center or certified landfill. As long as you’re hiring Junk King to take care of your shed removal, why not put them to work clearing out the rest of your backyard clutter. Junk King won’t mow the lawn but they will have no problem clearing brush, vines or weeds that have taken over your yard. They can’t cut down a tree but they can certainly remove anything that has broken off from that tree or has been cut down. Are you getting to see how big a help Junk King can be with your yard waste removal? Next, send Junk King over to your garage to remove all the rubbish you’re holding onto there. They’ll have that space cleared out in no time. After one decluttering session with Junk King, you’ll find it is a lot easier to move around in your garage and locate the things you need like holiday decorations or tools. The Junk King crew can also help with cleanup after a remodeling job. All of that construction waste needs to be taken away to prevent an accident and keep your workspace clear. You can arrange for a daily or weekly pick up for remodeling jobs that will be ongoing. Start with an old shed removal and finish with a junk free home. That’s the Junk King way. This entry was posted in East Houston Shed Removal and tagged Junk King, junk removal, Shed Removal on October 29, 2014 by Jose Urdaneta. Last updated August 1, 2017 .